This is truly shocking as none of us expected this. Today, Hardwell, one of the worlds top DJs, announced that he will no longer be touring via an official statement on his Facebook page. The announcement came as a shock to the entire EDM community, following his Ibiza show on September 6th. 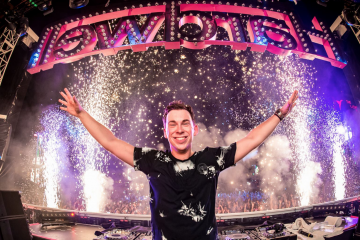 Hardwell has been a powerhouse DJ in the scene for over a decade. The 30 year DJ from the Netherlands is most well known for his sets at some of the worlds biggest festivals, including Ultra Tomorrowland. 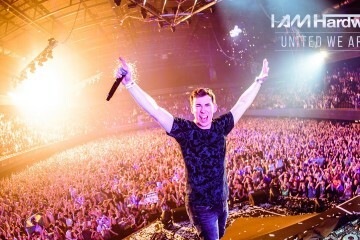 In a letter to his fans, Hardwell states that he wants to focus on himself and his health. He is clearing his schedule indefinitely, making last night in Ibiza the final stop on his tour. While he stated that he’ll still play the All Ages show at Ziggo Dome during Amsterdam Dance Event in October, Hardwell is otherwise taking pause, effective immediately. He stated that he’ll continue to make music and connect with his fans through it, not ruling out returning. He ended his note with a heartfelt thank you to his fans. Thankful for the music he has given us so far, Hardwell is a DJ that will be sincerely missed. You can read his entire letter here.